Patrick Mahomes will contribute to television coverage of this year's NFL Draft. 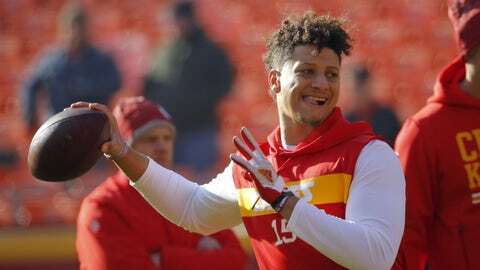 Kansas City quarterback and reigning NFL MVP Patrick Mahomes will be a part of ABC’s coverage of the first round of the NFL draft on April 25. Mahomes, who was the 10th overall pick by the Chiefs in 2017, will join “Good Morning America” co-host Robin Roberts on set before the first pick.